Welcome to a second edition of the Animal Crossing Chronicles. Not too much new has happened in my tiny City Folk town of Japan. It’s an emotionally barren place considering what my previous towns were like. I’ve been steadily paying off the home loan at a rate of 5,000 Bells per day and 1,000 Bells toward my town fund. My daily activities have consisted of paying off my loan, fishing and talking to random town members in an effort to establish some sort of camaraderie. Now, I will be the first player to tell you that talking to my animal neighbors is a chore within itself. I don’t particular care for any of the animals’ personalities and their dialogue is written as rude most of the time. And that’s the “nice” animals. I tend to keep my interaction with them low unless I really need something, such as old carpets and wallpaper. For my character, looking good when she steps out of the house for errands is important. I try my best to make sure the character’s style reflects my own. Thus, her clothes are mix and match of accessories. Mostly, she rocks pilot shades or large shades and a cute top. Her hair is a different matter, though. I prefer to have her wear her hair in a bun or for her to wear a wig. My favorite wigs are the geisha, mowhawk and afro. 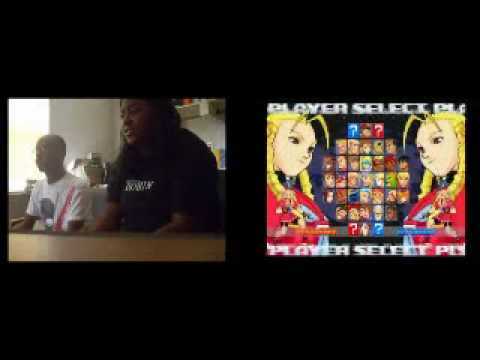 Welcome back to part II of the Marvel vs. Capcom 2 strategy talk. In this session we’ll talk about the beast that is top-tier teams. Before you talk about teams in MvC2 you need to talk about the characters that make up the teams. There are 56 characters in the game, split evenly between the two sides. Of the 56, there are at best 10 top-tier characters. What do we mean by top-tier? Well, top tier means they are the best of the best. These characters dominate matchups and are the widely used characters come tournament time. All of the top tiers have been used at some point in the tournament scene, and if you watch tournament videos you will see these characters present in just about every match. Now, that isn’t to say that none of the characters are unusable. Every character in the game has the ability to dominate a matchup in the right hands. Frequently you will see a high-level player using what’s considered a low-tier character if they’re trying a new team for challenge or fun. Remember: Playing different characters can be fun and add challenge to the game. Each of these characters has a reason to be top tier: either for their assist or their point characteristics. In the case of Captain Commando, Psylocke, Blackheart and even Cammy, their anti-air assists are tops in stopping and locking down. Cable and Magneto can dismantle teams by themselves. Doom, Cammy, Storm and Spiral can be great characters on point (Cammy and Storm, especially). Player 1 is yours truly. Player 2 is Jamie. Welcome to Marvel vs Capcom 2 class. This is the first in a series of ongoing looks at one of the most divisive fighting games to come out in recent memory. A staple of any arcade in the United States (and maybe Japan, if you’re lucky), MvC2 has been known to divide and bring together based on its mash-up of 56 characters with 3-on-3 fighting. I am a longtime player, having started playing MvC2 in February 2000. The first character I ever chose was Ruby Heart and after about two months of playing settled on a team that I still use to this day: Ruby/Doom/Cable. I use other teams (Doom/Black Heart/Cable, Sentinel/Ken/Cable, among others) but I feel most comfortable with my primary team because I can play all three characters well on point if needed. I am a member of the forums on Shoryuken.com and have, from time to time, written a few posts for the Ruby Heart thread in the MvC2 strategy section. I have competed in a number of tournaments in the Southeast in my 12 years of playing MvC2, and I own the Dreamcast and Xbox 360 versions of the game. I do not profess to being a great player; I just enjoy healthy, constructive competition. I pick up strategy and ideas from playing and watching matches, something I enjoy immensely. A semi-interesting note: To date, I have cosplayed as Ruby Heart and Akuma. We’re here to talk strategy and fighting, not bash characters or competitors. We will point out faults and strengths alike, and we will respect the strategy and skill level of all who play. We will not demean anyone. This series of strategy assumes that you, the reader, have some type of exposure to the game and have at least played more than once. This is intended to be general strategy with a little bit of advanced talk. If you don’t know what delayed hyper combos are or understand the game engine on the basic level, stop reading right now and play the game until you do. Training mode on the Dreamcast version provides a wealth of opportunities and information just waiting to be discovered. 1. Point character – Your main character is on-screen at the time. For example, if you use the team Ruby/Doom/Cable and Doom and Cable are your assists at the time, Ruby has to be your point character. 2. Hit spiral – Not to be confused with the character of the same name in the game. Hit spiral can be described as the state that the opponent character or yourself is in if the character is hit by a tag in. It’s a special stun type that is only achieved by several moves in the game, one of which being actually hit by a character’s tag in. 3. DHC – Delayed hyper combo. Say you have Ruby/Doom/Cable and you perform Ruby’s Partennaire super. As the super connects and the cannons fire, you can switch Doom in by either performing the Electric Cage super (QCF+2P) or Sphere Flame (QCF+2K) or Photon Array (HCB+2P), and then Cable (if you have enough super levels) to do Hyper Viper Beam (QCF+2P) or Time Flip (QCF+2K). Keep in mind that some supers cannot be DHCed into or out of, such as Sakura’s Level 3 change super. 1. Strider/Doom – You choose Doom’s rocks (Anti-air assist Beta-type) for the inevitable Strider Ouroboros, which does a lot of damage including cross ups and chip. 2. Blackheart/Doom or Doom/Blackheart– Call Blackheart’s jumping fierce air demons as Doom calls rocks as an assist. Conversely, Blackheart’s Inferno (Anti-air assist Beta-type) with Doom on point directing should control movement on all sides. Doom controls the tempo of the match while on point as Blackheart narrows down and traps. 3. Ruby Heart/Doom – A personal favorite, Ruby calls Sublimination as Doom calls rocks to control space. This is a decent trap team in that, with the Sublimination keeping the opponent’s point character locked down and blocking some (and I use that term lightly) assists from coming out, Doom can also prevent stuff from moving forward and touching Ruby. If Doom is taken out though, it’s going to be hard for Ruby. Real hard. 4. Magneto/Psylocke – One of the ultimate trap teams in the game, Mags and Psylocke can destroy opponent’s point characters within seconds in the right hands. Good Magneto players will attest to the fact that all they are waiting on is for you to screw up and get hit by Psylocke (Anti-air Alpha assist) so they can roll in, pop you up, chain combo into hyper grav, Magnetic Tempest. Rinse and repeat ad nausea. With at least two of those, you will be dead or very close, depending on who you are. Psylocke’s assist is perfect in this instance because she pops you up just enough that Magneto can hit his launcher with little trouble. 5. Spiral/Sentinel – I haven’t played this team much at all, but I have played against a very good version of it. Basically, Spiral calls Dancing Swords and throws them across the screen with jab as Sentinel (Ground type Gamma-assist) calls drones on assist. With this combination it’s easy to control space and your opponent. It’s literally called “Wall of Swords.” When you see it done correctly, you will know why. 6. Sentinel/Doom – Again, another controlling space duo. With Sentinel on point Doom can call rocks all day as Sentinel calls ground drones into Hyper Sentinel Force. Lots of chip damage being done here and pinning down of the opponent’s point. Who your third character is, is solely up to you. I personally play alot of Ruby/Doom/Cable and Sentinel/Doom/Blackheart, which encompasses some of the above teams. I’ve found a few that I like to combine for non-tournament level matches, and that’s come from experimentation and practice. COMING UP: Part II – Top tier teams and what they mean.